United Maxfoam is a manufacturer of all kind of foam products. 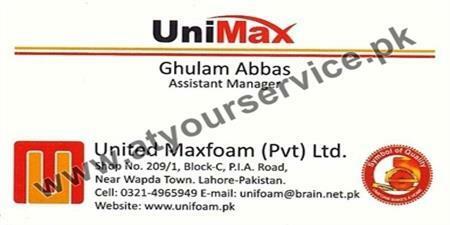 United Maxfoam is located in Block C, PIA Road, Wapda Town, Lahore. It is a manufacturer of all kind of foam products.